Brussels sprouts are no longer the much-hated vegetable of childhood. Roasting them at a high temperature in the oven with vegetable oil results in super-crispy leaves and exterior, and a fork-tender interior. 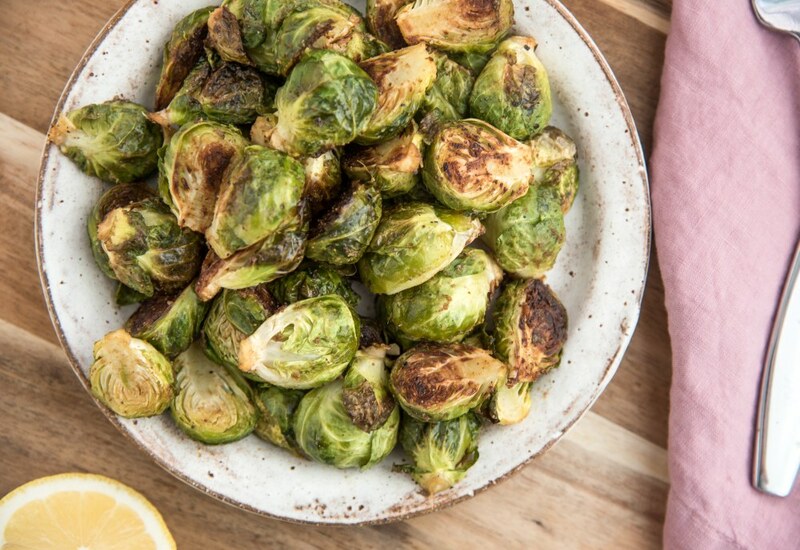 Simply seasoned with ground cumin and a squeeze of lemon juice, these addictive Brussels sprouts are tasty enough to eat on their own, or the perfect side dish to serve with roast pork tenderloin, seared steak or broiled chicken thighs. If you prefer not to use vegetable oil, use another oil with a high smoke point like coconut or avocado. Use this cooking method on any of your preferred veggies. Crispy vegetables result from the combination of high heat and oil. Add a super grain like quinoa or farro and a fried egg, and you can turn your favorite crispy oven-roasted vegetable into a meal! Per Serving: 176 calories; 11g fat; 17.2g carbohydrates; 6g protein; 0mg cholesterol; 122mg sodium. Brussel sprouts, made simple and easy. I've made this recipe 3 times now and it just works every time. This recipe doesn't reinvent the wheel but it doesn't need to. I love Brussels sprouts! This basic, simple recipe is really good. These will definitely be on my Christmas menu. They also go great with crispy bacon crumbles on top. First time trying cumin and lemon together with Brussels sprouts. These were so easy to make and really delicious. I'm a new fan of Brussels sprouts, and this cumin spiced version was really good. The only thing missing for me was a dipping sauce. I think a creamy lemon sauce would pair perfectly with this. Other than that, these were really good.